As part of last Friday's Guinness World Records Day, Joe Hill of 3D Joe and Max partnered with Reebok CrossFit to complete the world's largest and longest 3D street painting ever seen. 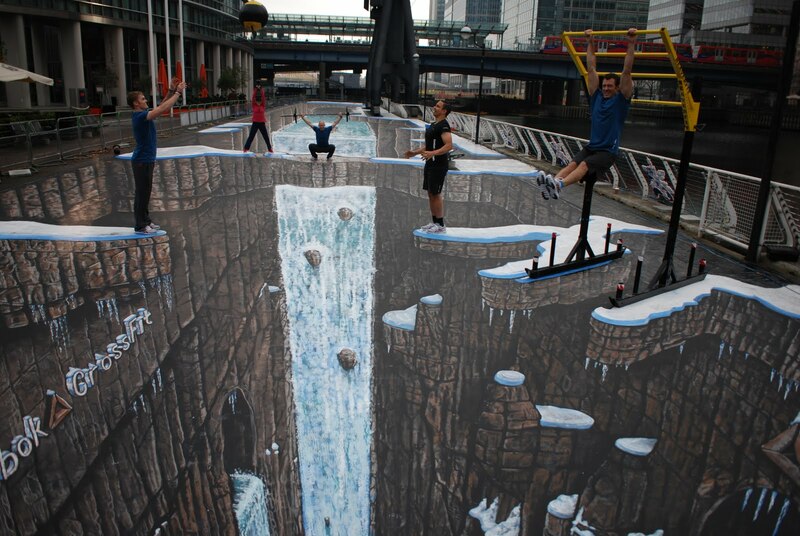 The artwork measured 1,160.4 meters by 105.6 meters, and was displayed in London's Canary Wharf. I'm not sure why Reebok didn't aim for a record that's a little more CrossFit-oriented (Longest tire-flipping relay? Highest box jump? Most consecutive ring handstand push-ups or double-unders?) -- but the optical illusion presented here is pretty amazing nonetheless.